4 Responses to Potato Love? Farmed near a nuclear power station??? 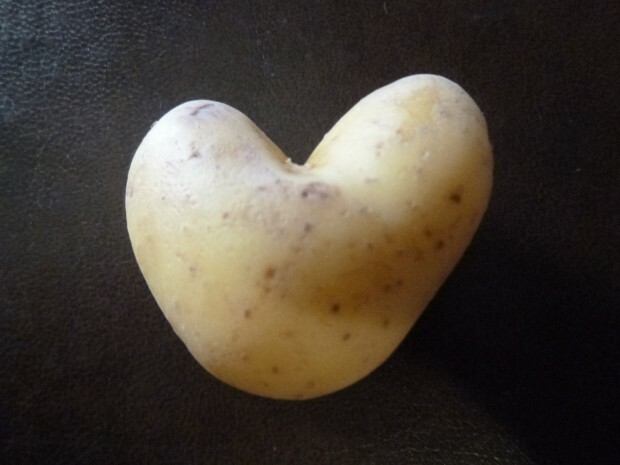 Here I was, feeling all warm and mushy and fuzzy and gooey over my wife searching through every potato in the shop to find a heart-shaped one for me. And some Canadian comes along and zaps it all. I never even thought of making a crack like that. I must be getting soft. Who was the luck person to eat the love potato?